uninstallation packages based on a search criteria match from your specific keywords. administrator privileges for your remote computers and require remote ports opened. uninstallation package that can be used to remove any kind of software remotely and without any end user interactions. data included in the package will be removed from remote computers in a silent mode and without any end user interactions. ‘Execute Action’ feature comes with a support of ‘Active Directory’ and ‘Computer Browser’ scanning. packages you can select which operating system version and OS bits you want the program to only perform the task to. a built-in ‘Installed Applications’ criteria where you can control where your uninstall software packages are been executed. 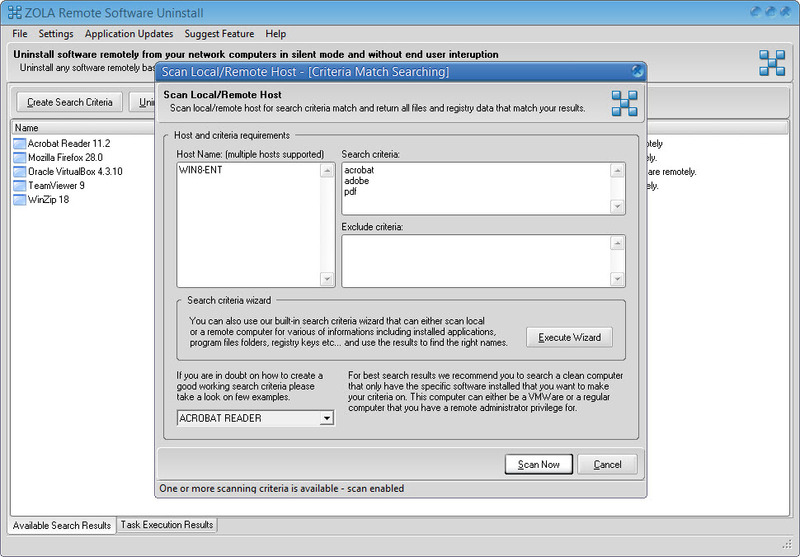 Select to uninstall only if a certain ‘Installed Applications’ criteria match or do not match. your remote computers in a silent mode operation and without any end user interuption. Create unlimited search criteria projects to search for a specific keywords to search both file and registry systems for match. 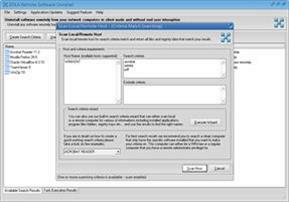 Remove and uninstall any unwanted software applications from your remote computers in a silent mode operation. Powerful software uninstall engine that can uninstall files and registry that are been locked on the next computer reboot. then Remote Uninstall product will scan both file and registry systems for a match and collect the data into a package that can be used to completely uninstall and remove the data required for a successfull software uninstall.